Avoid airborne asbestos contamination with expert asbestos duct removal in Canoga Park CA. Ductwork is one of the worst places to have asbestos, because any loose asbestos fibers can easily travel through the ducts and contaminate every room in your property. 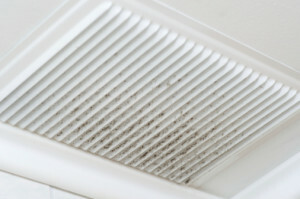 Many property owners don’t even realize a hazard is present until they open up the walls for a remodel or HVAC repair. When a regular contractor finds an asbestos duct, they can’t work on it. A professional like AQHI Inc. must be called to provide the asbestos duct removal in Canoga Park CA. Why Can’t My HVAC Contractor Provide Asbestos Duct Removal in Canoga Park CA? Even if your ducts are in good condition now, if there is any asbestos in them at all, they could pose a threat to your health someday. Why live with this worry? Just call AQHI Inc. for fast and effective asbestos duct removal in Canoga Park CA can get the problem taken care of once and for all. We will give you absolutely peace of mind that all the asbestos-containing-materials in your ducts are gone. Our asbestos removal office for Asbestos Duct Removal in Canoga Park CA is open Monday through Friday between 8:00 AM and 5:00 PM and closed for lunch from noon to 1:00 PM. With advance notice, projects can be scheduled for weekends, early mornings and evenings.